Chapter 4 Page 13 is up. Snow-by-Night leads the boys up the side of the Cape Adamant. During the winter. While it’s snowing. 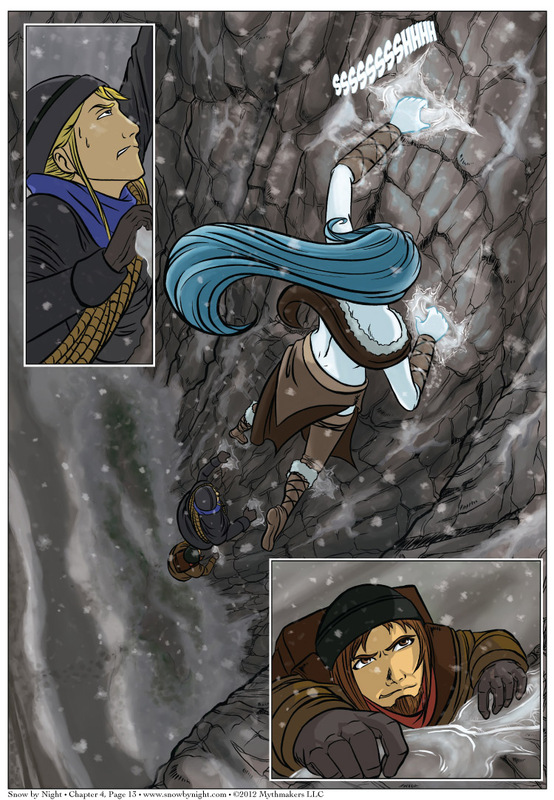 To see how Jassart manages the climb, vote for Snow by Night on Top Web Comics. Blaise, stop smirking when you’re looking up Snow’s skirt.